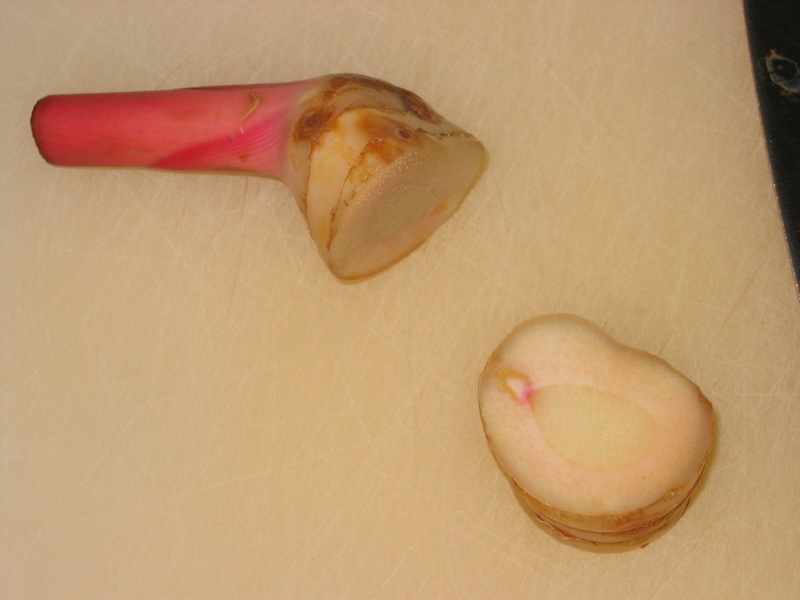 Ginza (or Galangal) is a sweet ginger, pale in colour (yellow and pinkish) and can be bought either fresh in season or dried in slices (which need to be re-hydrated) or in jars. You can also buy frozen ginza, or freeze chunks of fresh ginza to keep for another day. 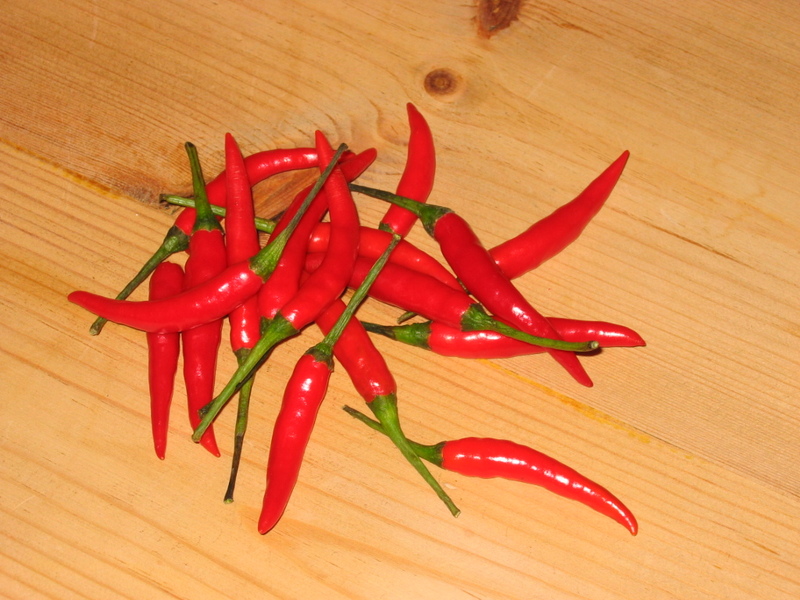 Chillies – several types of chillies are used in Thai cooking. 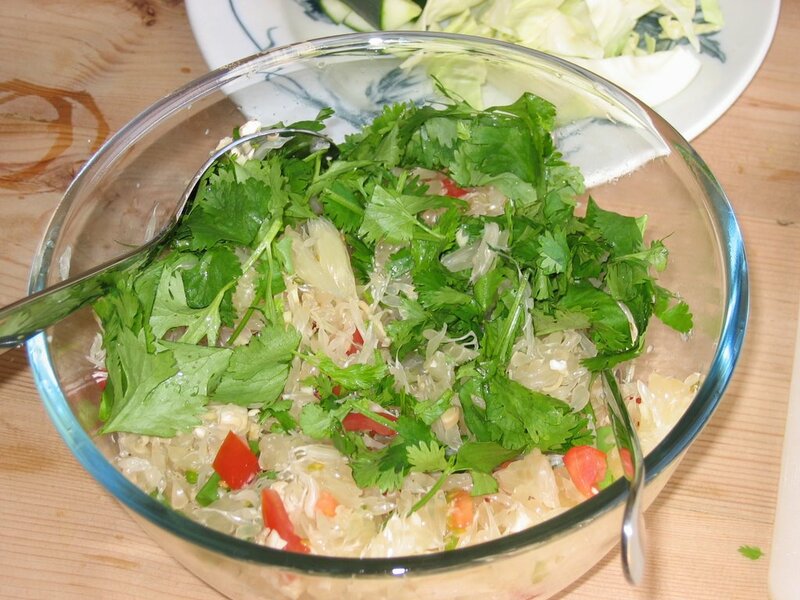 Mildly spicy dishes will usually be made with the large red and green chillies. 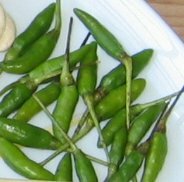 Thai birds-eye chillies are used in many of the spicier dishes. 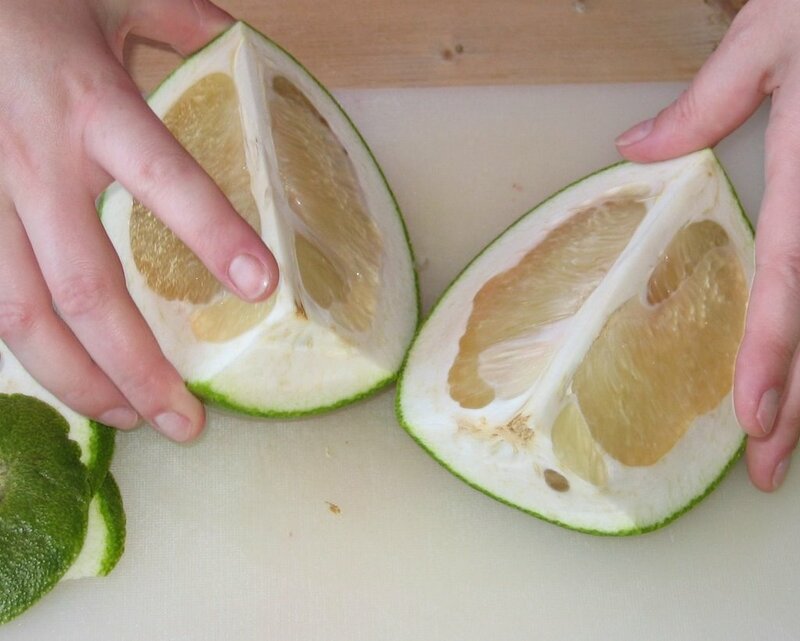 Used whole (or pierced with a knife) they produce a mildly spicy flavour and can be easily removed from the dish. Chopped finely they will produce a tasty, very spicy dish. Traditionally (I’m told) Thai chefs will use as many birds-eye chillies as they are years old – so the older chefs make much spicier food. A small handful will usually suffice for each dish. 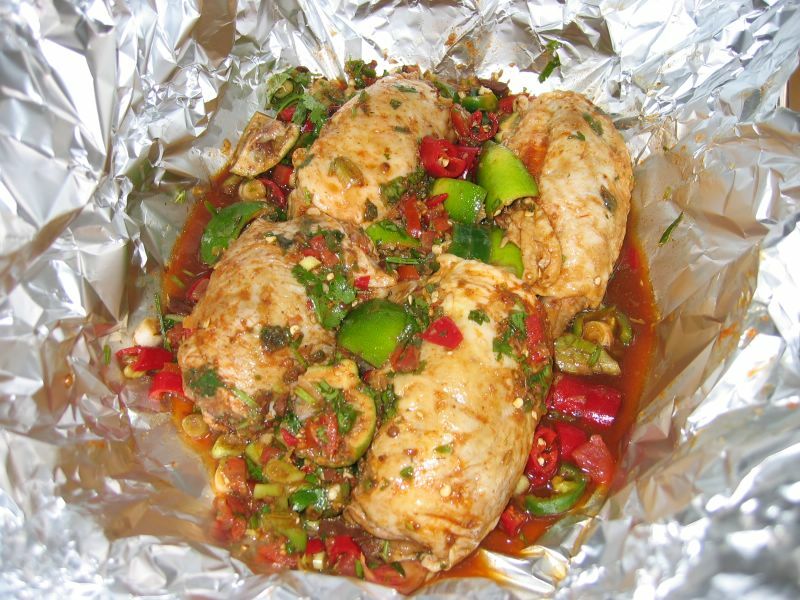 Any type of chilli can be used as a substitute. 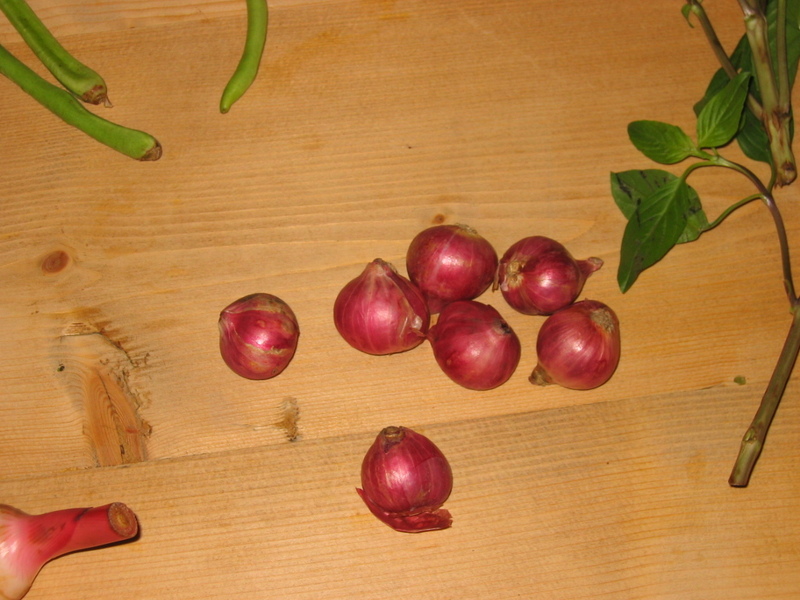 Small chillies usually have many more seeds and are therefore hotter than the larger, plumper chillies. Chilli powder is often used as well as fresh chillies, this typically adds more heat to the dish whilst fresh chillies give a clean chilli flavour. 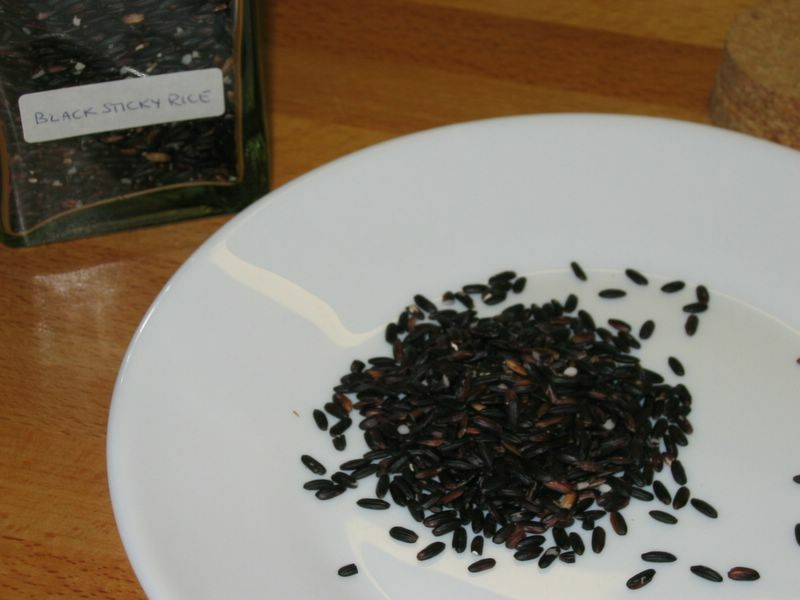 You can remove the seeds from chillies to reduce the heat. Mushrooms – Thais often use straw mushrooms in their cooking. 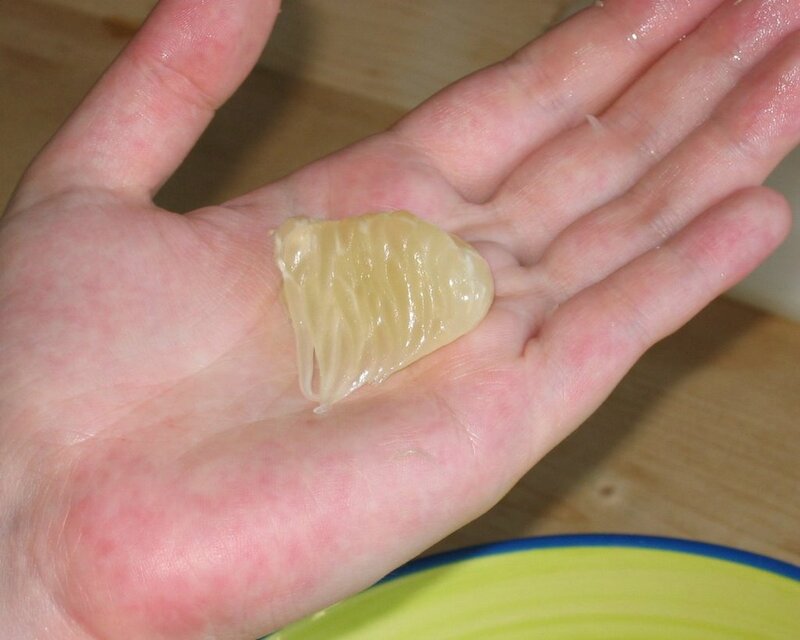 These can be bought in tins – however they are usually soaked in salt water so need to be washed to remove the excess salt and cut. Any type of fresh mushroom can be used instead – try brown-cap mushrooms, oyster or shitake mushrooms, wild mushrooms. Large Flat and Portabella mushrooms have great flavour – but be careful of adding these to coconut milk soup for example, as they turn the soup base very brown and slightly unappealing (although the tastes is still great!). 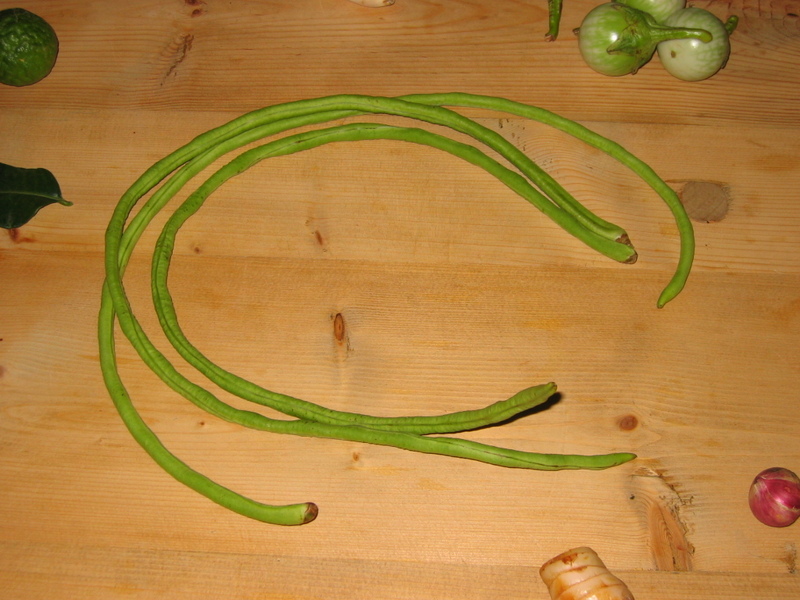 Beans – Snake beans are very long, fairly thin green beans, they should be cut into bite-sized pieces. You can substitute any green bean (i.e. fine beans or dwarf beans) although remember that you’ll need to buy about 3 times more! 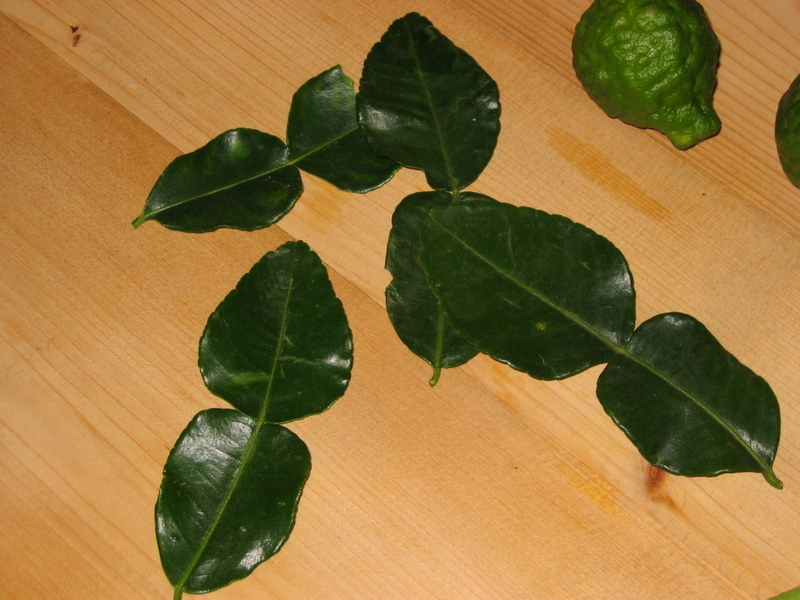 Kaffir lime leaves are an essential Thai ingredient. 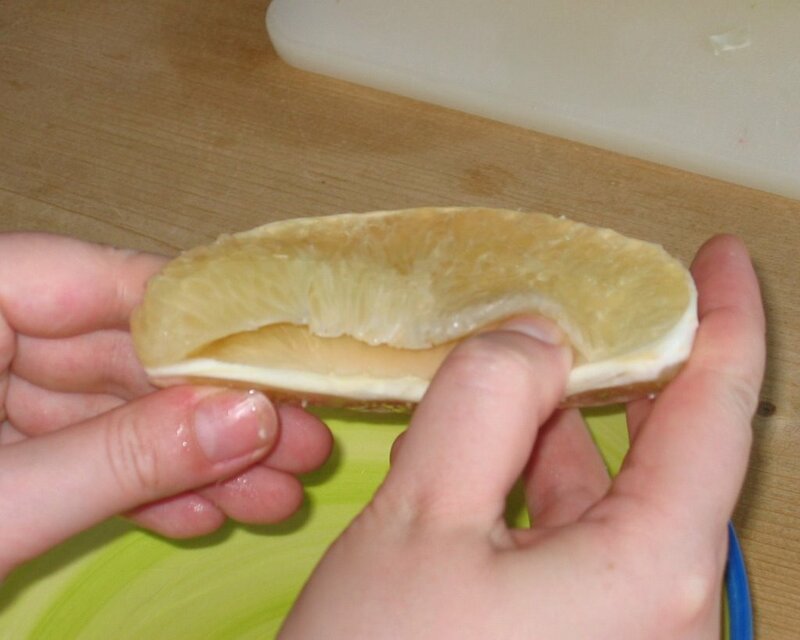 They can be bought fresh, frozen or dried. 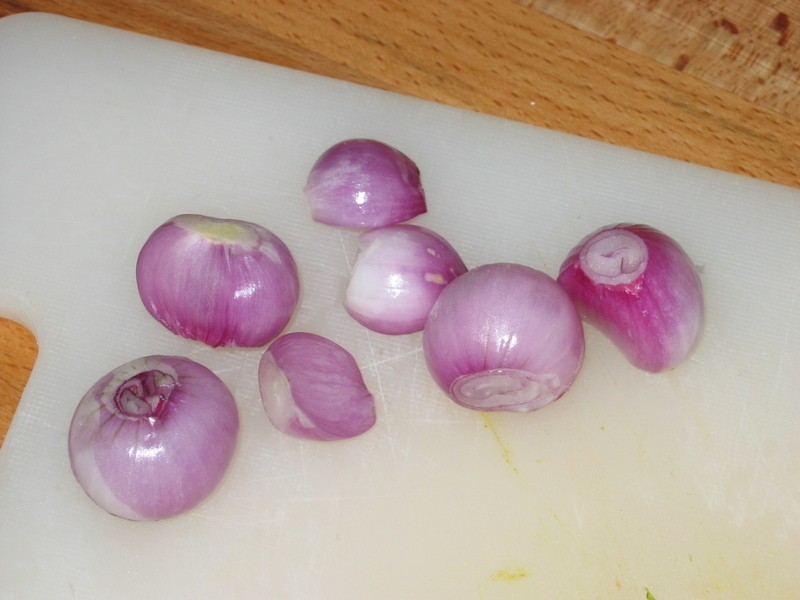 They are particularly good frozen as they keep their flavour better and can be stored for months. 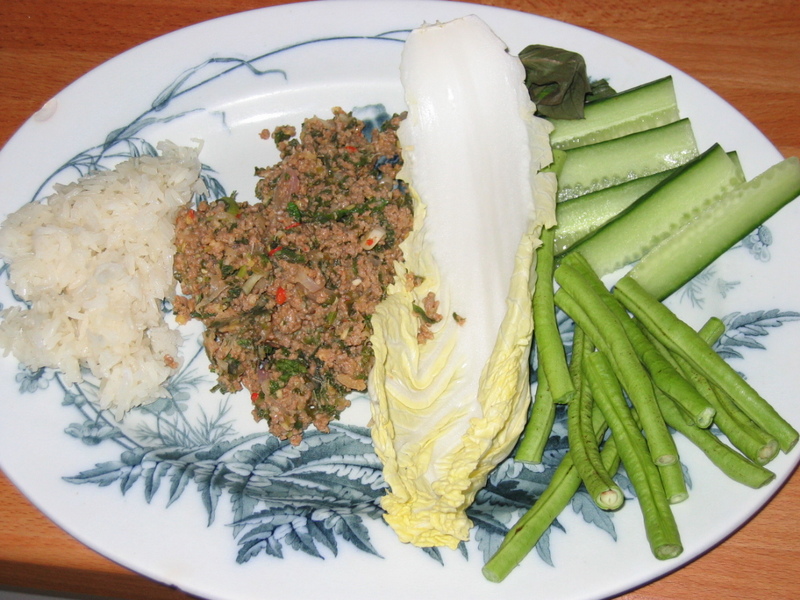 If you buy fresh leaves, pop the rest in the freezer for use in many Thai-style dishes. 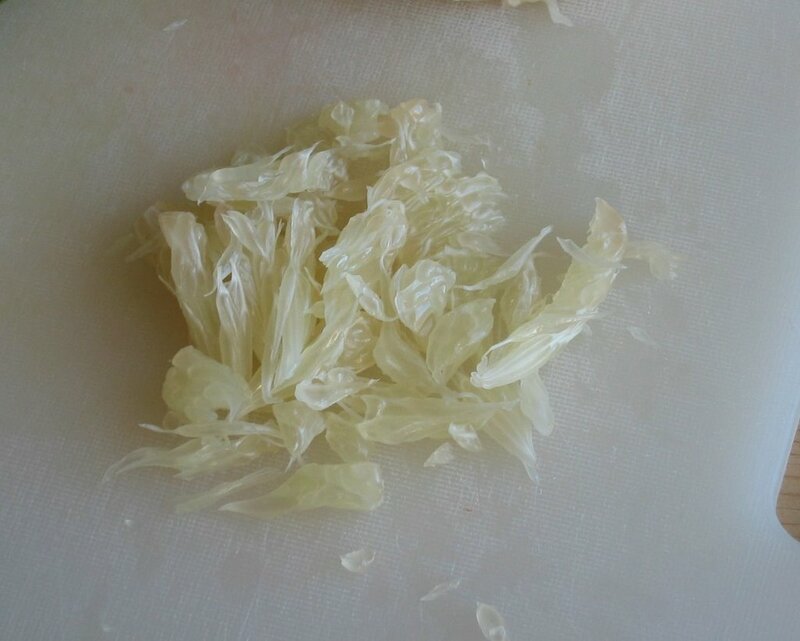 There is no real substitute for Kaffir Lime Leaves, but if you’re stuck you could try adding some lime zest instead. 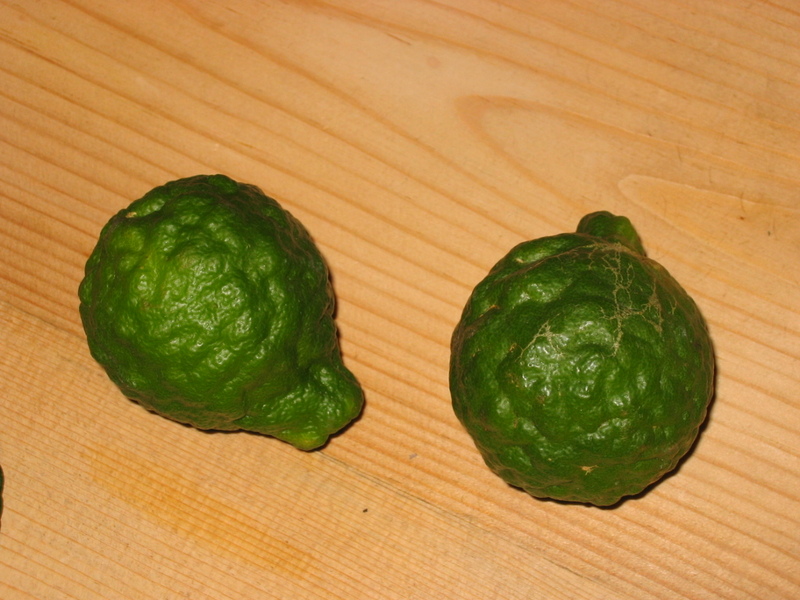 Kaffir limes have a small amount of juice, but are mainly used for their zest, which has a strong lime flavour. Thai sweet basil has a purple stem and darker, thicker leaves than European varieties; it has a strong aniseed flavour and smell. 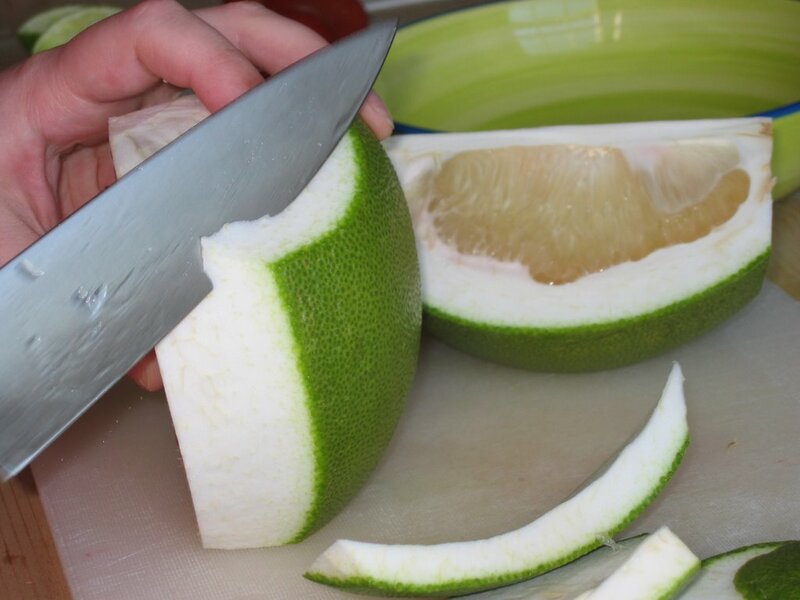 It is best bought fresh. 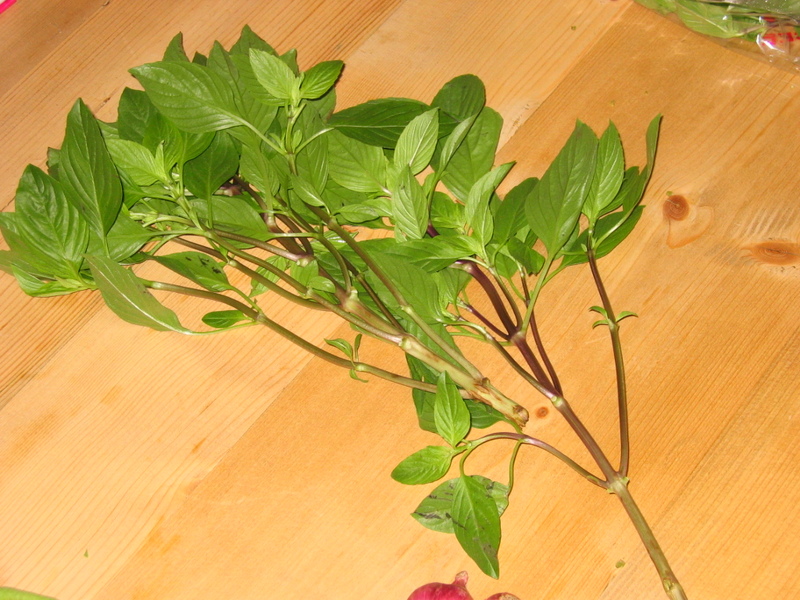 Other varieties of basil can be used instead, but will not produce the same flavour of dish. Some supermarkets sell frozen Thai basil which is a good substitute for adding to curries. 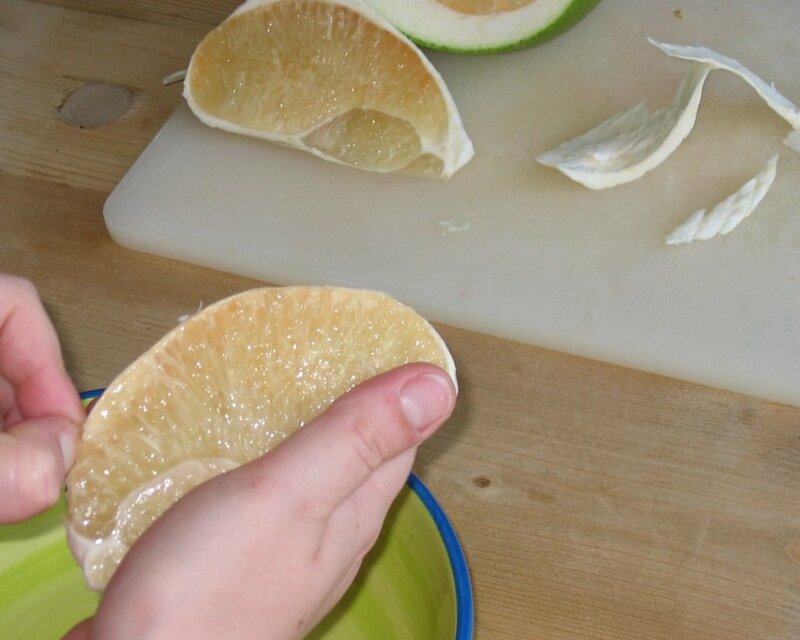 Posted by cath in general info, shopping notes, Thai food. 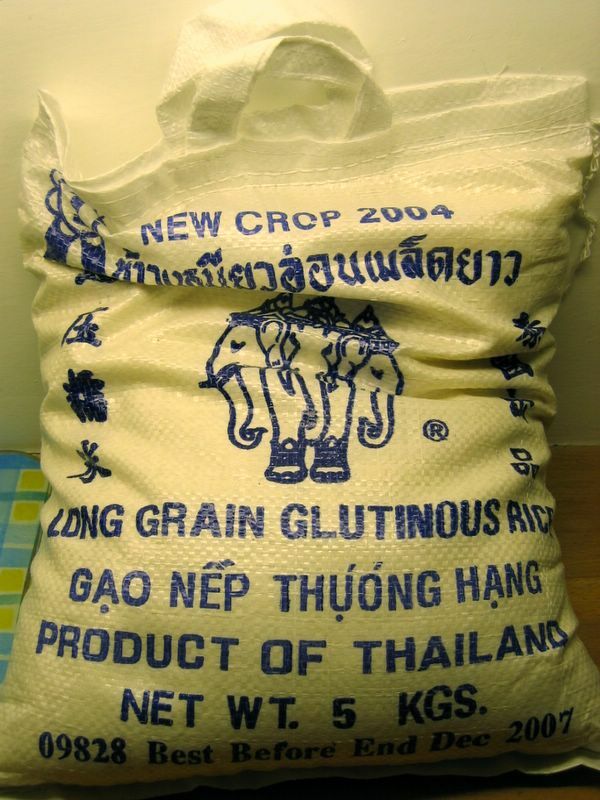 Thai supermarkets have a wide selection of imported herbs, spices and speciality vegetables from Thailand. 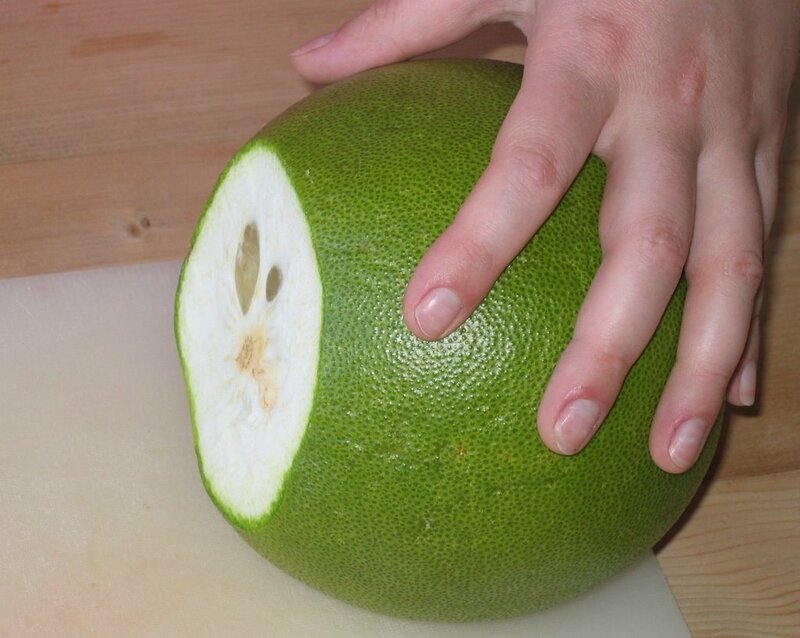 Also look in your local Chinese supermarket or Asian greengrocers for similar items or substitutions. There are also several good shops along Argyle Place in Marchmont.